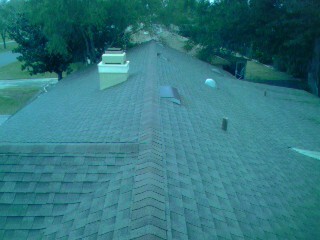 Orlando Roof Cleaning, Pressure Washing, Gutter Cleaning and Paver Sealing plus more.. Serving all of Greater Orlando and all surrounding areas with a commitment to gain your repeat business like so many already. 3000 plus homes have been serviced by Tropical and for good reasons. Our cleanings are efficient, they last and are not damaging. That is why our repeat rate is what has kept us on top through this rough economy and we would like to have some new life long clients like you to have a company they can trust and will be there when they need us. In the summer and every summer for the last 14 years business is at it’s slowest but this year has been the slowest yet! It has a lot to do with the economy and the elections coming up. People in general are holding on to every dollar they can from being unsure of what the future holds. So what we at Tropical have done over the last few months is work with our suppliers and vendors on getting better rates for us so we can get better rates to you. We purchase over 30k dollars a year in cleaning solution alone not to mention all of the other parts and supplies to keep us fully up to date with our equipment and vehicals. One thing we will never skimp on is top notch insurance for both parties protection. But our rates are very competitive, not saying we are the cheapest because to do it right or have it done right you will be paying more. I have seen the results of the super cheap guys and they are not pretty. You know the saying “You get what you pay for” well that stands so true in this business. I have heard from many people I have met over the years when giving a price for cleaning they tell me the last guy did it for this and I ask them why didn’t they call them. This is the most common answer: they are out of business! – or - they killed all of my plants and did a lot of damage! So don’t go with the cheapest bids people, that is just too risky and if it sounds too good to be true, it is. 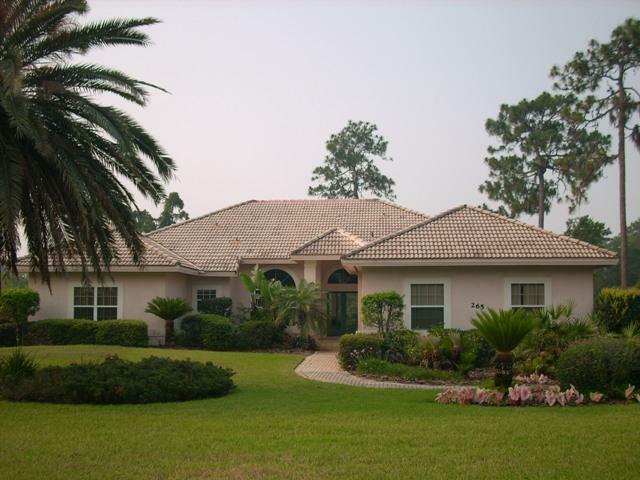 Orlando, FL 09/19/2011 Roof Cleaning and Pressure Washing Services. Service areas are all of Seminole County, Orange County, Lake County, Osceola County, Brevard County and Volusia County. Cleaning Services are for Commercial and Residential. Which are Safe Non Pressure Roof Cleaning, Exterior Cleaning, Gutter Cleaning, Driveway and Sidewalk Cleaning, Pool Deck Cleaning, Pool Enclosure Cleaning and more..
Visit our site at www.tropicalroofandexterior.com or call 407-415-3419 for more info and a Free No Obligation Quote.. Since 1998 we have cleaned thousands of commercial and residential buildings and have a repeat customer base that has helped us through this tough economy. We are a very affordable and reliable company keeping our standards very high and keeping our overhead as low as possible to give you the most reasonable rates. Keeping your roof and exterior clean is a very important step to preserving it and making it last longer. So if your home or business is looking like it needs cleaning call us today. Orlando Roof Cleaning and Pressure Washing by Tropical Roof and Exterior Cleaning Systems, serving Seminole, Orange, Osceola, Brevard, Volusia, Lake, Indian River and Polk Counties with professional Roof and Exterior Cleaning services that include but are not limited to Safe Non Pressure Roof Cleaning, Exterior Cleaning, Full Service Gutter Cleaning, Paver Sealing, Screen Enclosure Cleaning, Pool Deck Cleaning, Driveway Cleaning, Sidewalk Cleaning, Wood and Vinyl Fence Cleaning and more.. Call Me Today at 407-415-3419 or www.tropicalroofandexterior.com for more info and a link to email for a fast response. We are licensed, insured and are Workers Comp compliant. Today, I am going to first talk about tips on cleaning shingle and tile roofs safely without the use of a pressure washer or any high pressure rinsing system. First, before you decide to have your roof cleaned by doing it yourself remember that when you do so you need to take all safety precautions and have all proper equipment ( a pump up sprayer will not work efficiently ): Have a safe ladder with a stabilizer so that it is not resting on the gutters or drip edge which can dent or even damage them the stabilizer is also to keep the ladder from kicking left or right leaving you stranded on the roof if you do not have a helper. Second you will need a 100 gallon tank and either a Shurflo electric pump or a FloJet pump. You will need 200 to 300 foot of 3/4 inch poly braid hose, a ball valve, connectors, fan tip, wand, a 12v system to run the pump such as a deep cycle or regular car battery. Third a respirator for vapors not a paper mask! Gloves & eye protection. Fourth you will need a good amount of solution. Roofing manufacturers suggest a mix of (Sodium Hypochloite) or Pool Chlorine, (Tri-Sodium Phosphate) or TSP and mix it at a 40 gallons of chemical and 60 gallons of water. Lastly you will need a 100 ft waterhose to keep plants wet during the cleaning and also for rinsing the roof. that who you do hire uses Non Pressure Roof Cleaning Methods that gives you long lasting and instant results with a type of warranty. Now advice on pressure cleaning: From the exterior to the driveway to pool enclosures and decks there is a wrong way and a right way to pressure clean them. The stereotypical picture that you probably think of when pressure cleaning is the one where high pressure is used up close with just water fanning side to side on all surfaces. The actual way we do it is a cold water, solution controlled chemical cleaning with custom tips for application and rinsing. 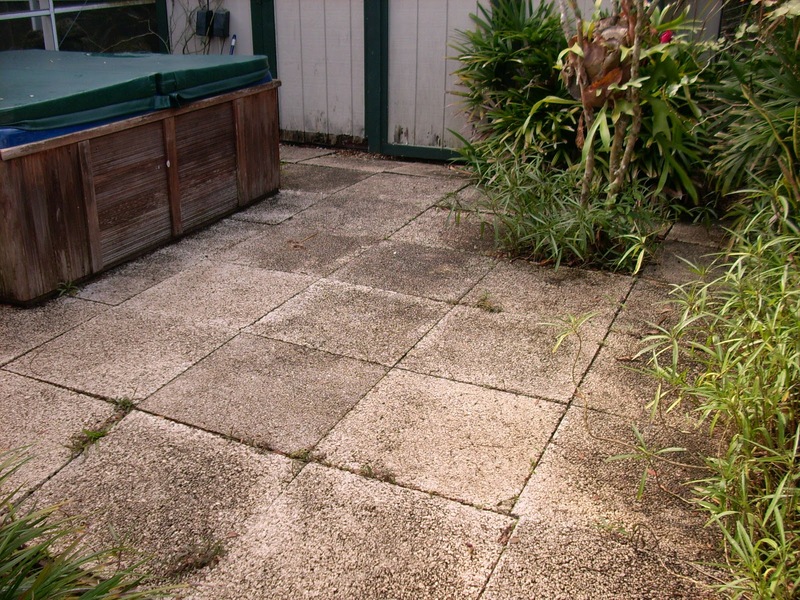 For flat surfaces like concrete driveways and sidewalks we also see “new short term” start up companies using either a high volume 15, 25 or 40 degree tips which is so time consuming and does not clean evenly at all; you may have had yours cleaned by this method and within a short period you will see the mildew growing back and a striped pattern that emerges. We use a different approach, the tool is a classic whisper wash surface cleaner that looks like a buffer in a way but it is actually a spraybar with 2 tips that rotate at high RPMs and cleans the surface evenly and efficently and afterwards we do what most do not do. We apply a light solution to actually kill the mildew root system that is left over after cleaning with plain water so that when it starts getting dirty again in a few years it will come back evenly and not leave an ugly line pattern down the driveway and sidewalks. I have even seen driveways that were cleaned like this that the homeowner was told that is the best it is going to get which I think is not a good way to do business and that can ruin it but also help for those who do it right. Pressure washing exteriors, screen enclosures and other surfaces that require careful and experienced knowledge to do so: The way to do it right is to first use a detergant fan tip or a wide orface stream tip to allow the solution to pass through the injection system on all exterior surfaces like the underside of the drip edge, facia, soffits, outside of gutters and walls or all vertical surfaces and on pool enclosures all screens and beams. There is no spot treating since it will just create a big clean spot. Once the cleaning solution is applied by sections and it has sat for for about a minute or so we will switch tips and flush out the lines to where fresh water is only coming out and then rinse the sections that the solution was applied to completely including all windows and doors. This solution removes green algae, mildew, bug and spider debris, wasp nests, mud dauber nests and other debris that is on the exterior. The custom tips I had made for me cut off the circulation flow of the solution and only lets fresh water to pass through and the solution injection it controls the percentage at 15% at all times. The results are amazing and they are long lasting. You will be happy when you see how it comes out and also how long it stays clean. Although in the more humid climates cleanings of course never last forever since the spore block inhibitors wear off like pest control products and lawn care products do. However, we do have a maintenance program to come out every year to keep your exterior free of damaging mildew and other contaminants in the air. Today, I cleaned a few homes and two of the homes brought something to my attention. The first house was a paver pool deck cleaning. The pavers were sealed a while back and the sealing was sort of botched, meaning that it was sealed while the pavers were still holding moisture and the sand in the joints was thinner than it should have been. 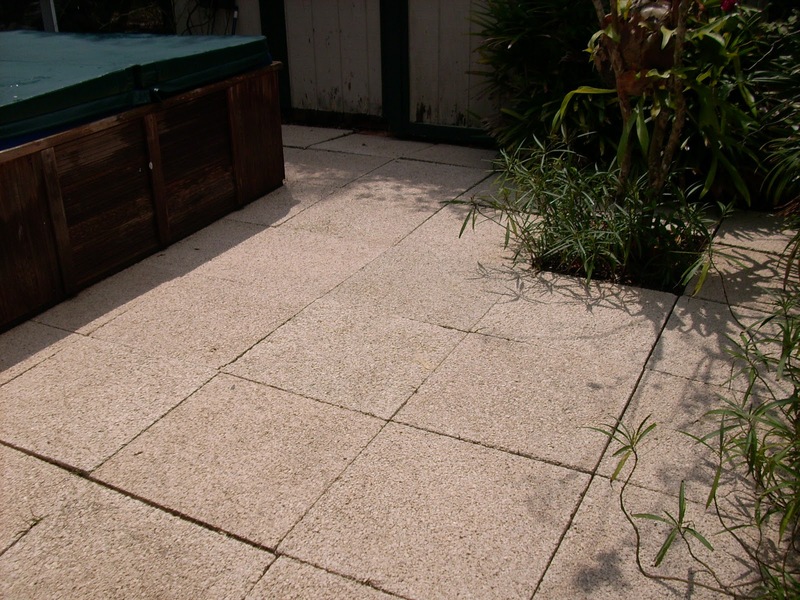 They had sealed the pavers and mildew spores that were left were trapped under the sealer making it impossible to remove without having the entire deck stripped of the sealer. The company did a great job on the driveway and the area where the sun hits the deck, but where it is in the shade most of the day it still had moisture trapped in the pavers. A solution for that senerio is a really difficult task and labor intensive; you would have to remove all the pavers and reclean them and set the pavers in direct sun for 6 hours to have full evaporation or can be done easily by cleaning and sealing before the pavers are laid down in areas like that. The other one was a past customer of mine who had me clean her pool enclosure in 2009 and then last year a neighborhood kid decided to start a pressure cleaning business and got in over his head like many do when they think that it is an easy job for some quick cash when it is actually labor intensive, a lot of maintenance, a lot of overhead and you need a lot of experience to make it in this business. I make it look easy since it is second nature to me and I have been doing this since 1998, but I had to learn first from working for someone who knew what they were doing working my way up by cleaning some very complex structures. Needless to say the kid wrecked her pavers by blowing out all of the joint sand by pressure washing it with a high pressure tip as well as the driveway and sidewalks plus did not use any type of treatment so you can see where he had cleaned it with a wand, you can see the pattern that he made very well. I treat every surface I clean because I want it to last long and when it starts to get dirty again it comes backs evenly. The kid decided that pressure washing was not the best idea for him as a business venture. The Roof Cleaning, Exterior Cleaning and Pressure Washing industry is probably the last type of business you want to start in this economy unless you buy a well established business you will not make it. I got in this business when there were maybe 40 pressure cleaning business’/Roof cleaning business’ in the Central Florida/Greater Orlando Area. Now there are over 400 and only 10% are well qualified to clean your home or business so be careful who you hire these days because most new guys are not even experienced and worse not insured. If they ask for a check in their name or take cash only that is a good sign, and I understand that saving money is very important to everyone and going cheap is a quick fix but can cost you more than you think. So be careful who you hire. Roof Cleaning and Pressure Washing Services by Tropical Roof and Exterior Cleaning Systems, LLC. Serving the entire Greater Orlando Area and Kissimmee, Daytona Beach and Lake County. Affordable, reliable, honest and highly experienced with over 14 years of service in the Commercial and Residential Roof Cleaning, Exterior Cleaning, Pressure Washing and Paver Sealing industry. 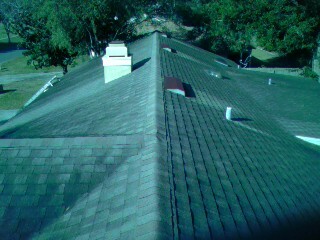 Visit www.tropicalroofandexterior.com or call 407-415-3419 for a fast free written estimate. We are Licensed, Insured and Workers Comp Compliant. Our Safe No Pressure Roof Cleaning service is the only process approved by All Major Roofing Manufacturers and our Pressure Washing Service is a Safe No Damaging Pressure Cleaning of every other surface using custom made application tips and rinsing tips to clean exteriors, wood/vinyl fences & pool enclosures and all flat non painted concrete surfaces are cleaned with a surface cleaner and then treated for algae prevention afterwards and other painted flat surfaces are treated and rinsed softly once the mildew is dead. We offer Maintenance programs for those who like to keep their property clean and tidy. This yearly service is for Exteriors, Pool Enclosures, Pool Decks, and Driveways and Sidewalks and our Gutter Cleaning can be quarterly, bi-annual or yearly depending on how much debris is predicted to fall due to nearby trees. Our Roof Cleanings last for years and are backed by a 24 month unconditional warranty. Orlando Pressure Washing Service, Safe Non Pressure Roof Cleaning Orlando, Paver Sealing, Pressure Cleaning Orlando serving all of Greater Orlando Florida's Roof Cleaning and Pressure Washing needs. Our safe system of cleaning roofs is approved by all major roofing manufacturers, and our other cleaning services are safe no damaging high pressure cleaning with specialized custom made application and rinse tips. Licensed, Insured and Workers Comp Compliant and we follow all EPA and DOT standards. Roof Cleaning Warranty Info.. Must Read!! In Florida you really can’t promise how long a roof will stay clean usually 2 years for sure - beyond that it is all up to the elements like humidity, rainfall, shade over the roof by trees, type and color of roof, pollen count, if the neighborhood is full of dirty roofs gleocapsa magma (mildew) will spread around like a wild fire from one roof to the other then back to yours. So many factors come into play and the dirtier the roof the more chemical and time it takes to clean it thus it eats into profit bottom lines that big companies can’t afford and even smaller companies too like mine. Roof Cleaning Orlando, Pressure Washing Orlando, Pressure Cleaning Orlando and Paver Sealing Orlando. Tropical Roof and Exterior Cleaning Systems services roof cleaning, exterior cleaning, screen enclosure cleaning, pool deck cleaning, driveway cleaning, sidewalk cleaning, patio furniture cleaning, anything that can be cleaned we can clean it serving Greater Orlando and All Surrounding areas. Visit www.tropicalroofandexterior.com or call 407-415-3419 for a free estimate. Reasons to clean your Roof: there are many reasons for Roof Cleaning, here are the most important. 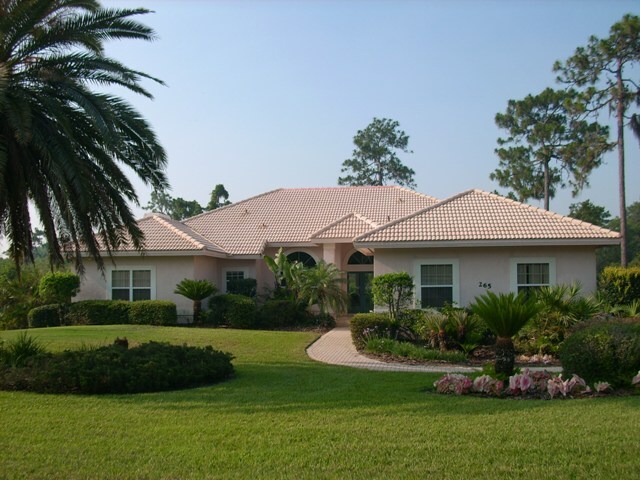 Orlando Roof Cleaning removes destructive Mildew build up that actually eats away at the roofing materials feeding on the limestone filler causing rapid breakdown of shingles and tiles. "Health", did you know that is heavy mildew that is on your roof and leaving it there eventually will creep down the exterior and spores will get into your home where moisture is present. Curb Appeal, why have a dirty roof when you can have a clean roof that looks brand new for a small fraction of what a new roof costs. How to Clean Roofs Properly: First thing never use a pressure washer to clean any roof since it will remove granules and cause water intrustion even at low pressure settings with a pressure washer. It has to be cleaned by roofing manufacturers standards to keep your warranty valid, roofing manufacturers will know if pressure was used by simply inspecting it, so don't try it. The way we do Roof Cleaning is "The Only Method" approved by ALL ROOFING MANUFACTURERS. Go to any roofing manufacturers websites or call them to ask how it should be cleaned they will tell you. Our Roof Cleaning process is done only with an electric pump to apply the Roof Cleaning Solution on and then it is rinsed off with a regular water hose with regular water pressure from your homes water spigots to give you same day, long lasting, new looking roof results that helps your roofs lifespan by actually killing and preventing mildew regrowth and although it is not permanant it will stay clean for several years. Watch out for these New Magic Products: They contain "Highly Toxic Copper Sulfate" as the main ingredient and has to be pressure washed off using a minimun of 1000 psi to complete. Roof A Cide, Roof Be Clean and Spray and Forget are all untested and not approved by ANY ROOFING MANUFACTURER. The link below is a link about "copper sulfate" by Cornell University. 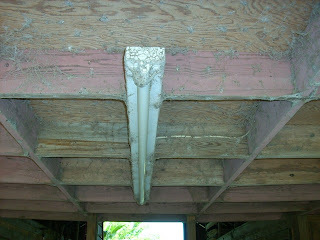 You can also find a link to a Rip Off Report on Roof A Cide in my Recent Posts. What to ask for from a Roof Cleaning Contractor: The most important is Insurance, make sure it is current by calling the listed agent on the insurance form. References, Angie's List is the best way but even a list of past customers they can call is good too. Business License, it is not a requirement but is better to have an occupational license. Workers Comp Insurance or Workers Comp Exemption Form which is mainly stating you and your homeowners insurance are not responsible for injuries to workers on your property. If the company has more that 4 employees then Florida Law requires them to have Workers Comp Insurance. What methods they use to clean roofs? Ask, what do they use and if they have to use a pressure washer to clean your roof in any way. If they even state that they use a pressure washer at very low pressure move on to the next quote nicely until you find a Roof Cleaning company that uses Soft Non Pressure Roof Cleaning methods. What does it cost to clean your roof? 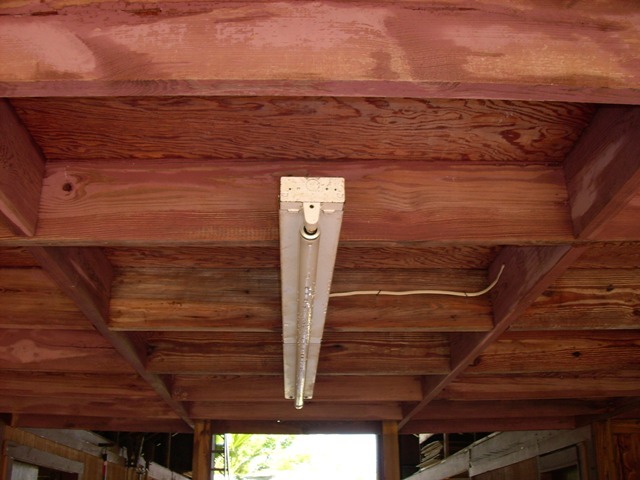 In every case it all depends on the gross square footage including the garage not the living square footage. The pitch of the roof also dictates pricing, also the type of roof (Tile or Shingle) Tile will always cost more than shingle, how much prep work has to be done, the extent of how dirty the roof is can sometimes be a factor in pricing but not in most cases. If you have actual moss or lichen growing that would be a factor in pricing. Prices range from .10 cents to .20 cents per sqft in Florida and more in northern states since chemical cost is more and availability is less. To see an entire list of Roof Cleaners in your area that clean with approved methods and a very insightful site with tons of information go to: www.roofcleaningchemicals.com and click on your state in the search area. 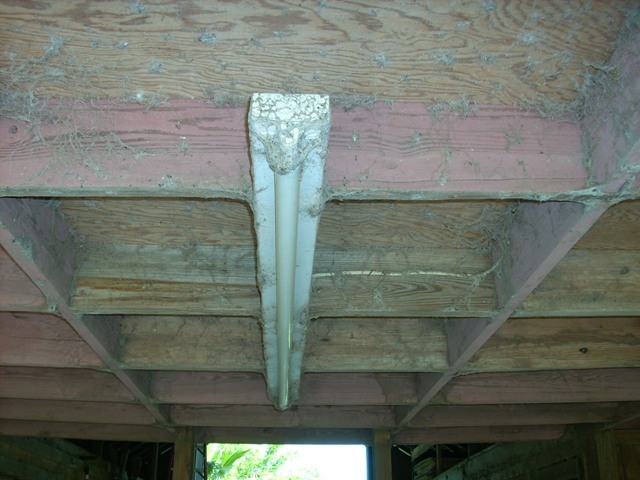 Also for more information from so many professionals see the forums at: http://roof-cleaning-institute.activeboard.com/ see what they have to say. Thanks for Reading and if you live in the Greater Orlando area and need your roof cleaned, exterior cleaned, pool enclosure and/or deck cleaned, driveway and sidewalks cleaned, pavers cleaned and sealed or anything else or questions call 407-415-3419 or you can visit our site at www.tropicalroofandexterior.com we serve Seminole, Orange, Osceola, Volusia, Brevard, Lake and Polk Counties. Today, though we have not forgotten we shall always remember this number 2977 Innocent and Brave Firefighters, Civilians, Police Officers, Mothers, Fathers, Brothers, Sons, Daughters, Wives, Sisters that were killed by cowardly acts and idiological beliefs of Terrorists 3650 days ago this day of September 11, 2011. It is a day that everyone remembers where they were that day at that very moment. We should also never forget the surviviors who are still alive today and those who are suffering from the physical and mental stress from those attacks including ALL our troops that have fought and died in defending our freedom and our country. God Continue To Bless America, and to the terrorist organizations: YOU WILL NEVER BREAK OUR SPIRIT YOU TRIED AND FAILED! 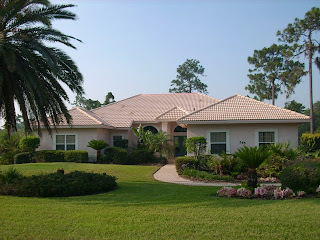 Tropical Roof and Exterior Cleaning Systems has been serving Orlando Florida since 1998. Call 407-415-3419 for a Free No Obligation Estimate. Orlando Roof Cleaning, Orlando Pressure Cleaning, Orlando Paver Sealing and More... Tropical is a licensed, certified, insured and workers comp compliant Roof Cleaning Company. Tropical is also very environmentally concious and EPA approved. Our Roof Cleaning Process is the process that ARMA (American Roofing Manufacturers Association), Owens Corning, GAF and other Roof Manufacturers approve and our methods of Roof Cleaning are the ONLY methods that should be used on your roof. Roof Cleaning Service all of Greater Orlando and Areas surrounding. Our Roof Cleanings last for several years as apposed to Damaging Pressure Cleaning.